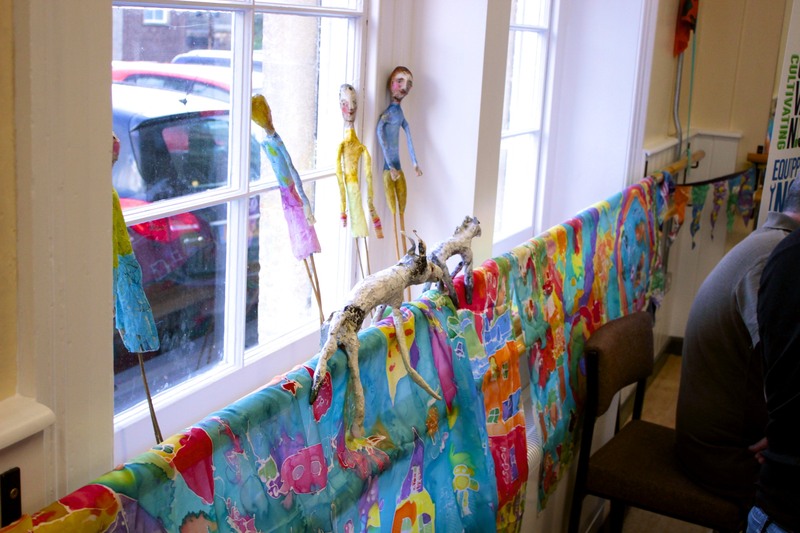 Creativity Works > News > Uncategorized > Family Arts Day Radstock a Success! 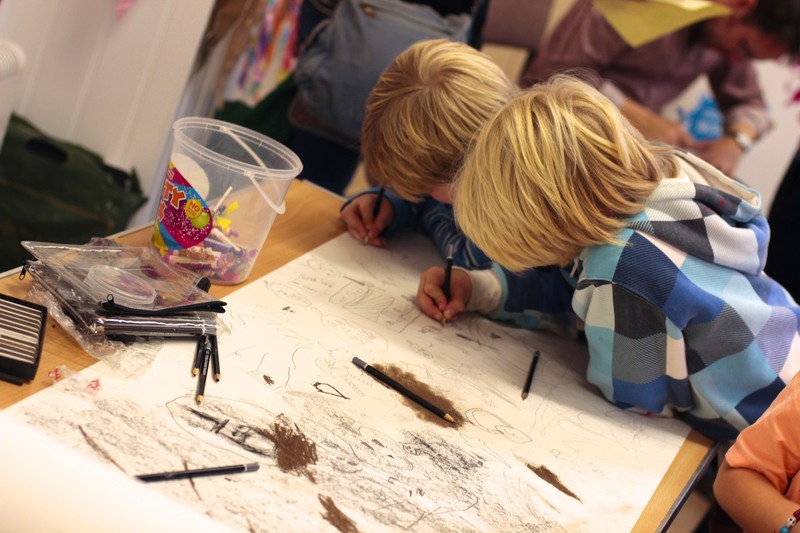 Family Arts Day Radstock was a great success on Saturday (the 2nd November), with over 280 people attending. 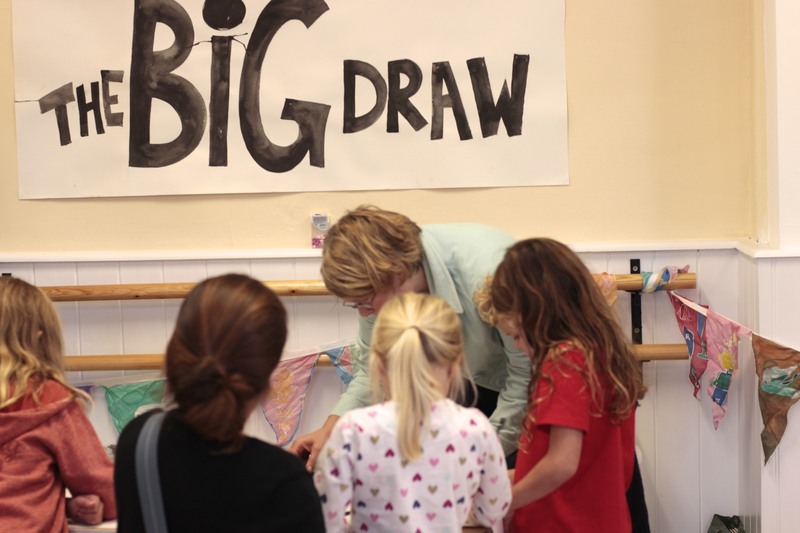 Victoria Hall was buzzing as families joined in with the free activities and got busy making, singing, drumming and enjoying pots of tea and delicious scones. 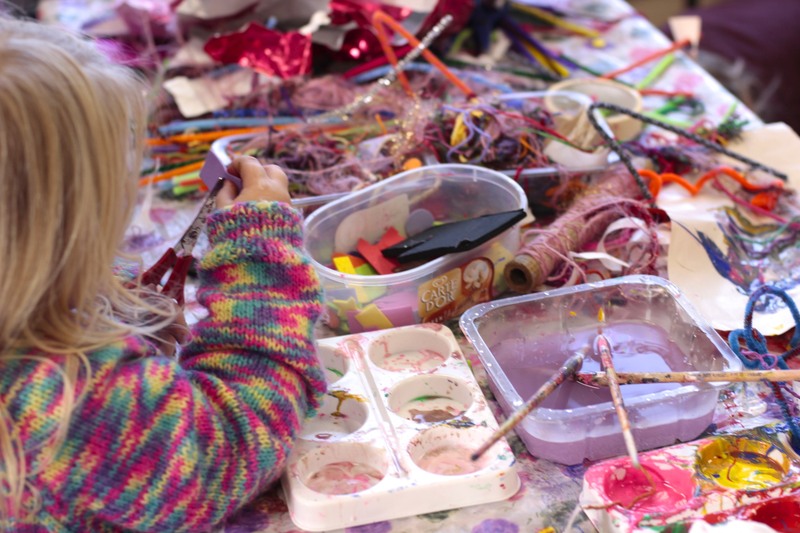 Many hands and wonderful imaginations created sparkling figures and whacky sculptures with Artist Edwina Bridgeman, memories of Radstock were recorded in The Big Draw with charcoal pencils, and colourful fimo creations were taken home ready to be baked. Keep Safe Keep Sane and ‘Splat the Rat’ was a great success and talented musicians and singers treated the crowds. Kids face painted as dogs wandered about and local organisations provided information about their activities and groups. 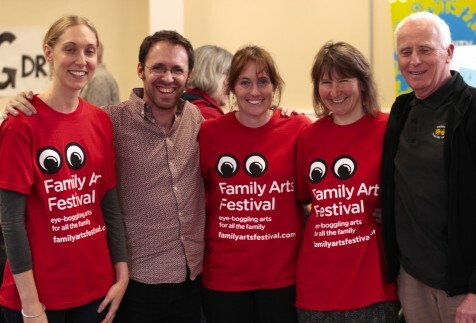 Family Arts Day was part of Family Arts Festival, which is a national consortia funded by the Arts Council. 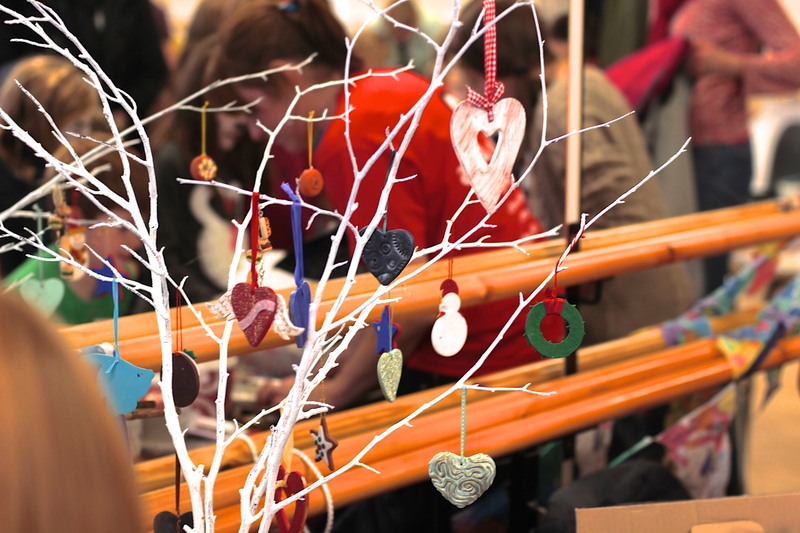 Creativity Works would like to say a great big thank you to all our wonderful volunteers, artists and new friends, and to Radstock Cooperative for sponsoring the event. It was a delight to work with Victoria Hall and so many talented people and we hope to do more in the future.